in Street View, or send directions to Squaw Valley for an upcoming ski trip. I can also send friends and family suggestions for a restaurant for a holiday dinner or include directions there. Thanks to Christoph Niemann for inspiration. You can spread holiday cheer with these online cards, whether sharing winter imagery in Street View or directions for your travels. Start sending at googlemapsholidays.appspot.com. Happy holidays! The holiday season means spending time with family, seeing friends from home and visiting new places. Along with building a snowman in the backyard, for many students the holiday season brings lots of travel! It’s fun to plan these holiday trips, and to help you share your plans, we’ve designed holiday cards you can email to friends and family. 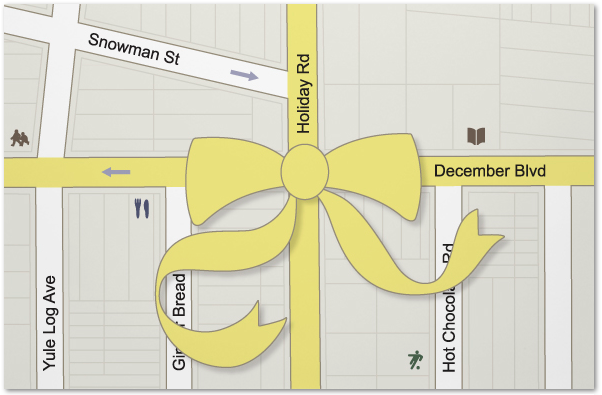 In addition to choosing a holiday cover and adding a personal message, you can select specific directions, a Street View image, or a place to include on the inside of the card. 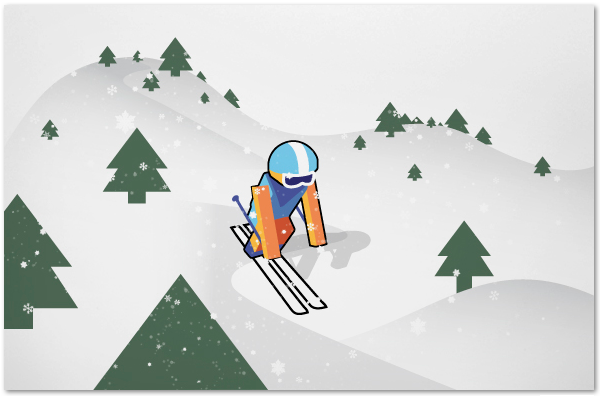 Since I grew up in New England, the holidays always make me think of skiing. I can send my friends cards with some inspiring ski scenes in Street View, or send directions to Squaw Valley for an upcoming ski trip.